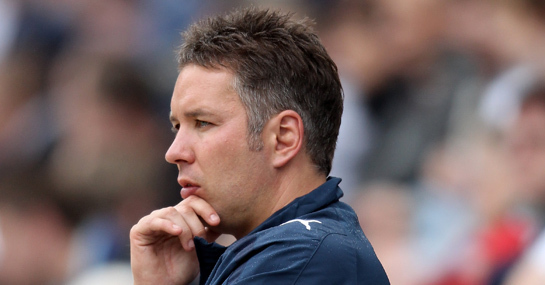 Darren Ferguson is convinced he can help guide Peterborough to a third promotion – despite the Posh being 16/1 to win the league in the betting. Ferguson has been put to the Posh hot seat for a second time after his spell in charge of Preston North End came to an abrupt end over Christmas. Ferguson left Peterborough in 2009, officially by mutual consent, unofficially because he was pushed. His first game back in charge will be away to Brighton on Saturday and his side are 7/2 in the betting to extend their unbeaten league run to six games. However, with Brighton finding some form after a dreadful run of five league games without a win, backing Brighton to win at a very tempting 4/5 could be worth a bet. It is definitely worth a free £25 bet – an offer available to all new Ladbrokes customers. Simply sign up here to claim your free £25 bet. However, Ferguson is already looking beyond this weekend and believes his new charges can still gain automatic promotion. He said: “You’d have to say automatic promotion is still possible this season. Anyone who can go on a run has got a right chance. “I know the saying is ‘never go back’ but I don’t believe in that. “I’ve missed the place. I’ve had a hard 12 months at Preston but it’s good to be back. A £25 bet on Posh to beat Brighton 1-0 could pay out £225. New Ladbrokes customers can sign up here for a free £25 bet.